Sweet Baby Jesus! 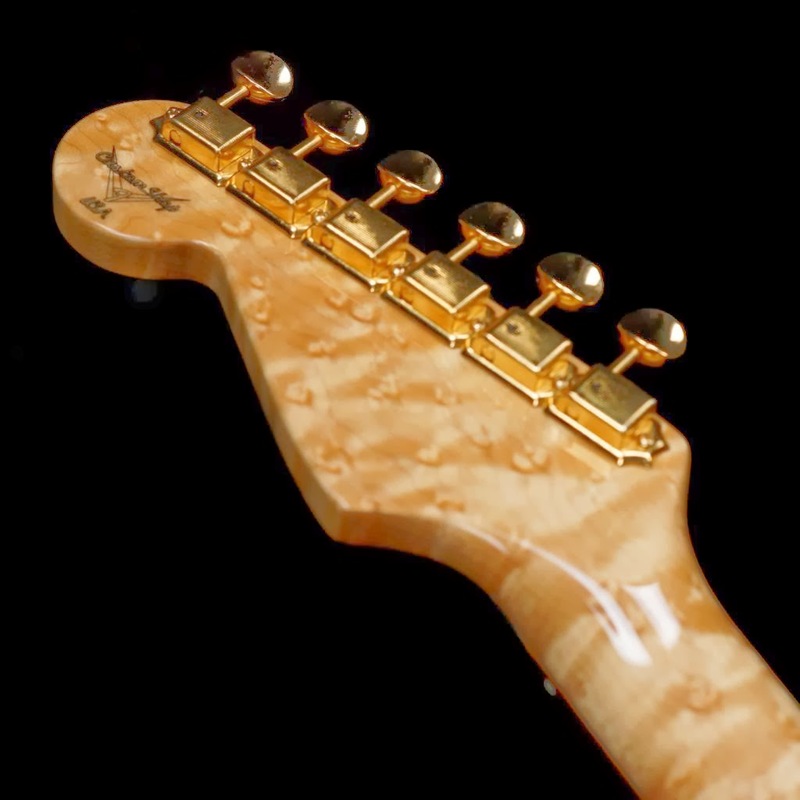 Check out the birdseye maple! 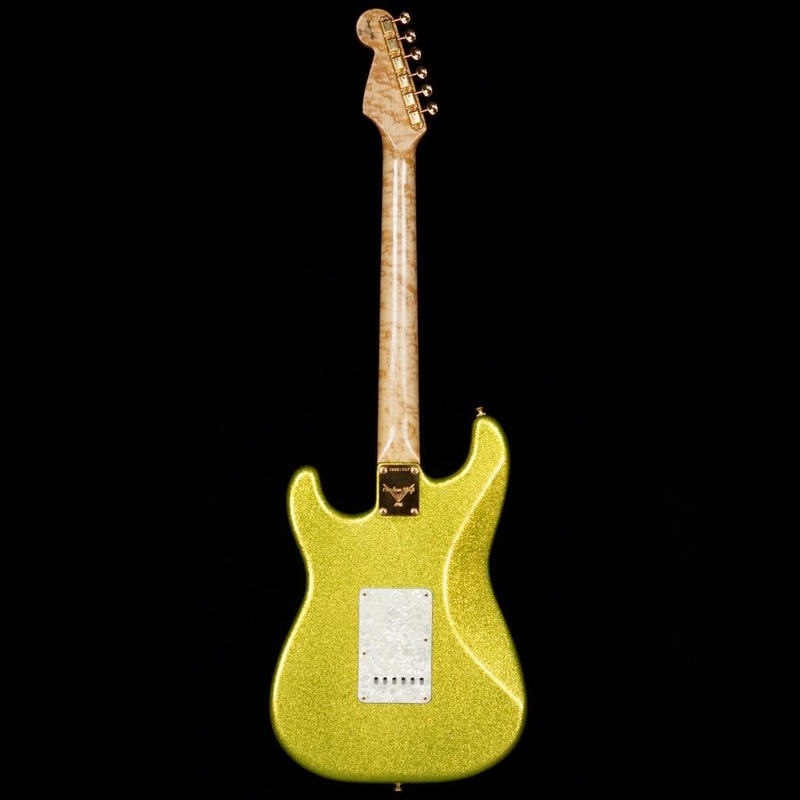 Distinctive Guitar LLC of Milwaukee, WI currently lists this one-off Chartreuse Sparkle, FCS 1996 John Page era, '60RI Strat. It's pre-owned, but nearly NOS condition-- closet classic more or less, with finish checking. The March '96 COA is signed by Page. 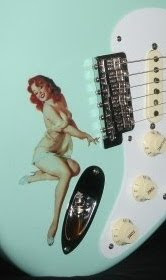 This Strat features gold hdwr, pearly pickguard/backplate and 60's pickups. 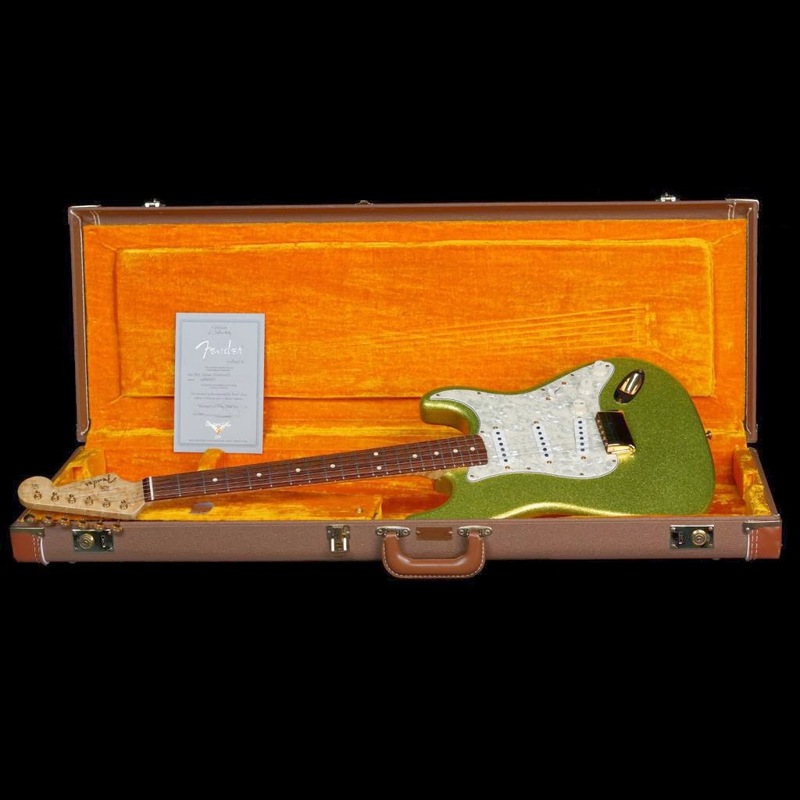 Includes COA and brown tolex case. The listing page has tons of good quality photos with lots of close-ups. Also, click the above pics for close-ups. But get over there for all of 'em. The back of the body has a long finish check that looks like a body split, but they've had a pro inspection to determine it's only the nitro. No worries with this dealer, check 'em out.